You are here: Home / Beauty / What are the Witch Hazel Uses for Face? Witch hazel uses for face include treating acne. 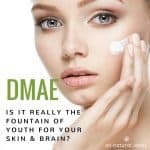 But, did you know that this topical solution can be used for more beauty routines? Though it sounds like a heavy metal band, witch hazel is a plant. 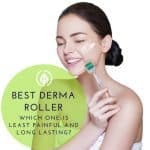 And though there are many all-natural remedies for skin care, it is considered by many to be one of the best toxic-free acne and skin treatments. Witch hazel uses are numerous. 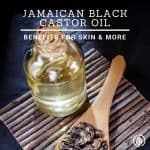 It’s used for everything from insect bites, inflammation, rashes, blisters, colds and coughs, sore throats, and more…. But let’s focus for a bit on witch hazel uses for face, including acne. It’s an astringent. That means that it contracts the skin’s tissues. It shrinks the pores. 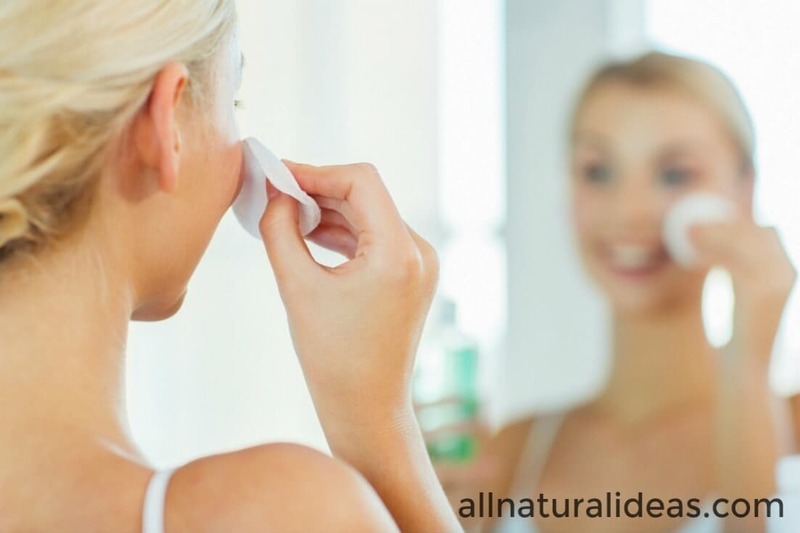 If you have blackheads on your nose, an astringent like witch hazel can help. Witch hazel’s medicinal properties can even help treat varicose veins and hemorroids, according to this analysis of herbal medicines. What’s in this magical potion that makes it so effective for treating skin disorders and other ailments? The same compounds that are found in red wine, tannins. But you can’t rub red wine on your skin. That would be a waste of good red wine. Witch hazel also contains polyphenols. Polyphenols are antioxidants. When you spend a lot of time in the sun, these polyphenols can help prevent damage. That’s why it’s also important to eat a low-sugar diet. When you eat lots of sugar and processed food, your cells can be damaged by free-radicals. The polyphenols in witch hazel can neutralize cellular free-radical damage. Aging is caused by free-radicals. The compounds in witch hazel help kill bacteria. Bacterial like to burrow in the skin’s pores. 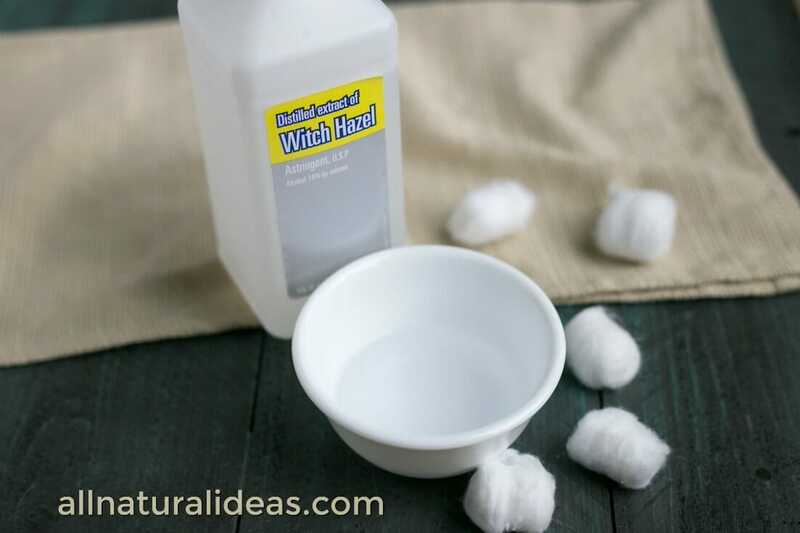 But applying witch hazel to the skin can help neutralize harmful bacterial. Not all bacteria on the skin, however is bad. That’s why it’s not good to use facial cleansers with chemicals. Don’t be a germophobe and think you have to kill all bacteria. 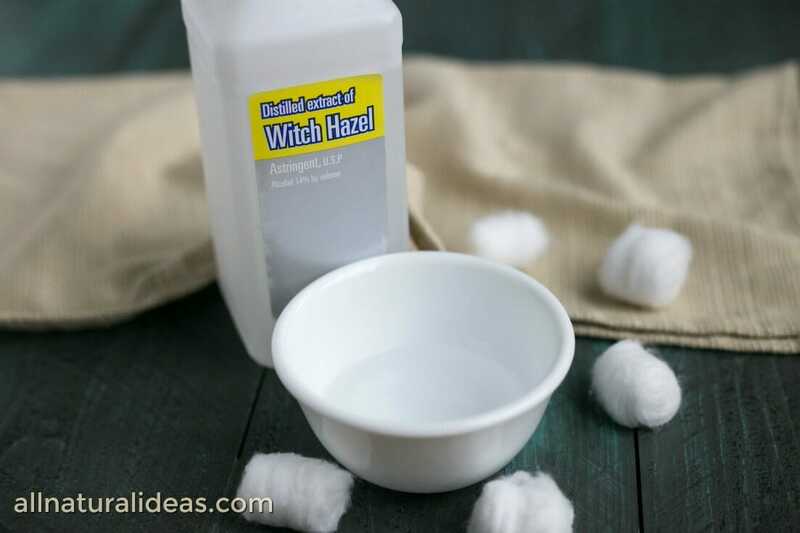 If just the thought of bacteria on your face frightens you, use witch hazel on your face. Is there research supporting witch hazel for skin? Yes! A study including witch hazel and other anti-acne medicinal botanicals concluded witch hazel extract protects fibroblast cells. A fibroblast is a type—and the most common—of cell that helps collagen form. Collagen provides the structure for your skin tissues. It also plays a critical role in wound healing. Another study, published in Clinical, Cosmetic and Investigational Dermatology, used witch hazel in a 3-step facial treatment regimen, as a toner. The toner’s primary ingredient, witch hazel, is a botanical anti-inflammatory and a natural astringent that removes excess oil from the skin’s surface, the researchers concluded. People with oily skin can benefit from witch hazel ointments. An article in the Journal of Clinical and Aesthetic Dermatology describes how witch hazel ointments can benefit acne. You can use witch hazel directly on your skin. Or you can dip some on a cotton ball and dab your face. You can also take witch hazel internally mixed with water. Some people drink witch hazel like a medicine. Some of the uses for taking witch hazel internally include stopping diarrhea and vomiting. 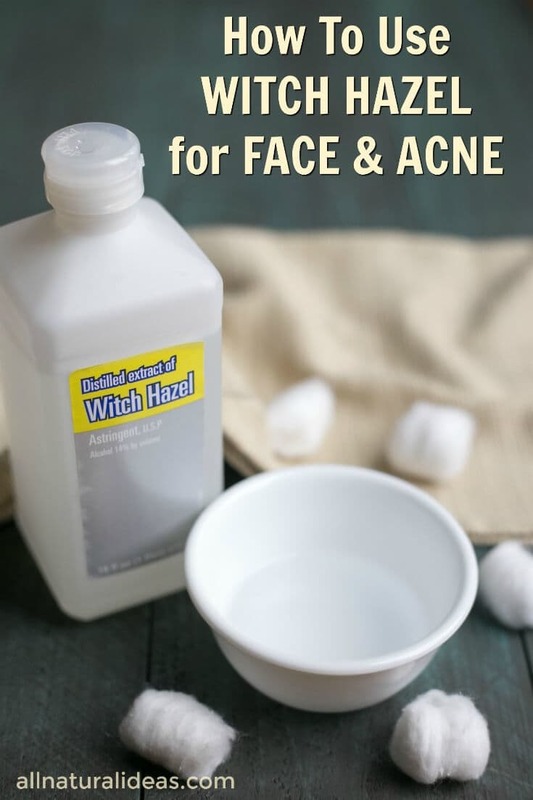 One of the best witch hazel uses for face is to treat acne. You can also buy witch hazel essential oil to treat acne. Many people who use witch hazel for acne make an ointment out of essential witch hazel oil and a carrier oil such as coconut or apricot kernel. The combo of witch hazel and a carrier oil can be used to make homemade lotions or a face toner. Even people with sensitive skin can safely use witch hazel. You can use witch hazel for your hair the same way you’d use it on your skin. Just gently rub in. Your hair has natural oils. 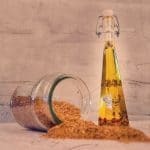 You don’t want to strip all the oil from your hair. More people are realizing shampooing the hair every day can do more harm than good. That’s one reason shampoo alternatives have become popular. Witch hazel is a great shampoo alternative. It will leave your hair naturally shiny and fuller. Like tea tree oil, witch hazel can help treat irritated scalp. And when you do use your shampoo (try to limit washing to just a couple times a week with shampoo), you can add a few drops of essential witch hazel oil. Or, you can create your own shampoo alternative with witch hazel and your favorite carrier oil. As for proof of witch hazel for hair benefits, there are some limited studies. One of them, published in the Journal of Trichology (the official journal of the Hair Research Society of India) evaluated a witch hazel-based shampoo for sensitive scalp. The researchers concluded witch hazel can successfully treat sensitive scalp issues. But don’t chug a big amount of it to treat a cold. WebMD states that ingesting large doses might cause liver problems. Pregnant and breast-feeding women should consult their medical professional but there is no conclusive evidence witch hazel is harmful. There are also no listed drug interactions with it. Like any plant-based product, it’s better to go organic. The compounds in witch hazel (especially the tannins and polyphenols) which make it an effective astringent, could be rendered not as effective when exposed to pesticides. That’s why it’s best to buy organic witch hazel. An increasing number of over-the-counter remedies contain witch hazel. But be careful when choosing a witch hazel product. Conventional medications, even those containing witch hazel, may contain harmful ingredients for your skin. Also, many brands containing witch hazel sold in big-chain stores contain more alcohol than the botanical. Native Americans used witch hazel for thousands of years for many medicinal uses. Obviously, they were using the organic variety.